Are you looking for a map of Corvo Island? Thinking about buying one before you visit? Of all the nine Azores Islands, this is the last one you need a map for. As you will see by the map below, the island is tiny. Have some fun looking at the map. Use the tools to zoom in and move around. Note that the airstrip is as long as the town. Or zoom out to see the neighboring island of Flores and the rest of the Azores. And please read more about Corvo. 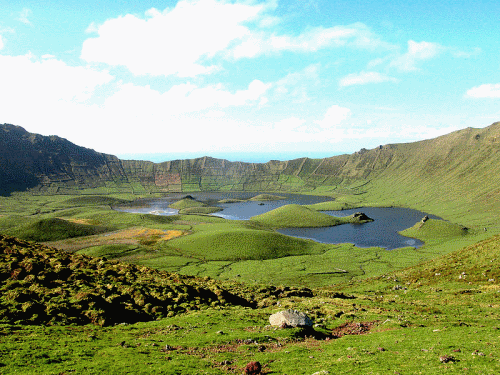 Visit the home page, Magical Azores Islands, for more information and links to articles about all of the Azores islands.